Learn how to improve your creative vision by mastering techniques to nail your in-camera exposure. Join Rick Sammon for an incredibly comprehensive class where you’ll learn about important camera settings, the exposure triangle, exposure compensation, white balance, the histogram, qualities of light, exposing for flash, creating compelling HDR, and so much more. 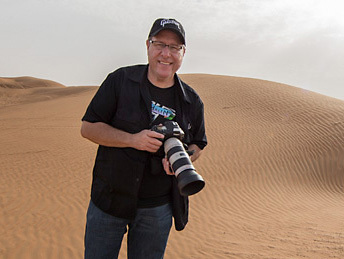 Rick draws on decades of experience using an incredible diversity of visual examples to illustrate these important concepts, and all along the way sharing the tips, tricks, and easy to remember sayings that will help you incorporate what you’ve learned into your photographic style. Don’t just take pictures, make pictures! Join Rick Sammon as he dives deep into his 20 time proven rules of composition. It’s up to you to tell your story with creative composition, and in this class Rick provides you with new ways of seeing when you are holding your camera in hand. Whether you call them rules or recommended guidelines, Rick shares over 250 visual examples to help you understand how to use these tools to make great shots instead of snapshots. In the end you’ll be a better photographer for not only knowing the rules, but knowing when to break them, and have fun while doing it.